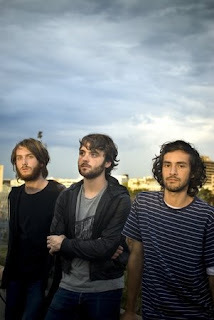 Stop by Double Door May 2nd to catch one of Spin's "best of '08" acts - Midnight Juggernauts. Midnight Juggernauts hail from Melbourne, Australia, and specialize in a sort of proggy dance indie rock hybrid that, according to their press release, flirts with "sounds reminiscent of E.L.O., Air and Eno-esque synth arrangements." The band will be promoting its debut LP, Dystopia. Click here for more information and tickets and here to listen to some tracks.